In the final class of The Legacy Journey, Dave Ramsey reminds us that we were made in the image of God and therefore are called to have a spirit of generosity. 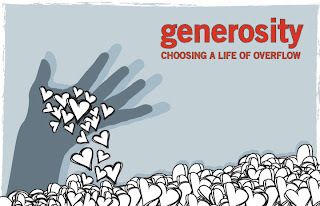 Giving is the antidote to selfishness, so we should continually practice generosity. Giving is an expectation of God's people. Giving should almost always be done in private. In very rare circumstances God may call you to use your giving to influence and inspire others, but this will not be often. Giving should include your time, your treasures and your talents. This is not multiple choice, it is all of the above. You can tithe in all areas, but you should not substitute your talents/time for your tithe of income. Giving is the most fun you can have with money. 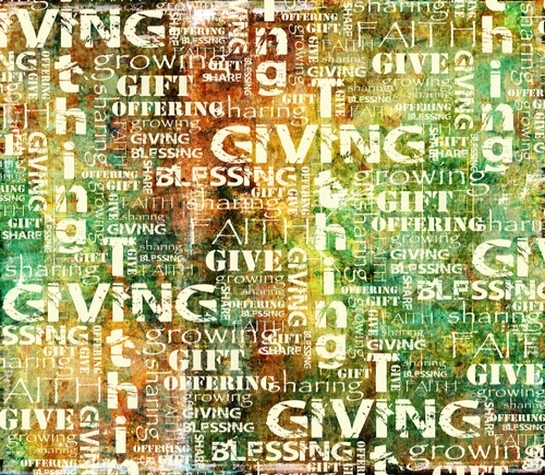 Giving creates overflow in your spirit which will unlock your potential in many areas of your life. Unless you are called by God to do so, you should not give all of your wealth away. You should not surrender your role as the manager of God's resources to someone else. Practice the displacement method when giving. You can use the time, treasurers and talents God has blessed you with to displace evil in our world. Remember that you are the manager and not the owner of God's resources. Commit to due diligence when giving. We are investing in the Kingdom of God so you should understand how the money will be used to further God's mission. Do your research just like you would for your investing for your own future. Let your passions and values influence your giving. Always ask yourself if you are wasting God's resources. This will make sure that the focus in on how the money will further the Kingdom of God. Remember that we are blessed to be a blessing. We are not blessed to consume everything but to be cheerful givers. 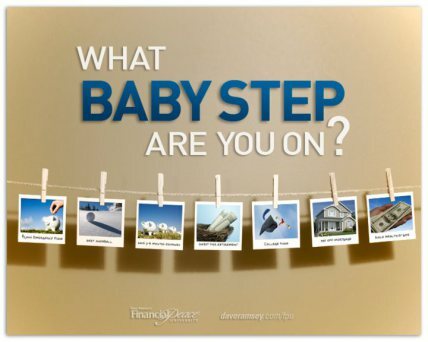 At what babystep should we be giving to others? We should be giving our tithe (10% of our income) to our local church at all steps starting at step one. We give our first fruits to God's Kingdom. 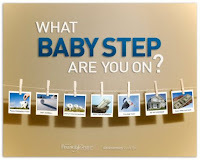 We begin to give extra starting at babystep 3. We do this after we have taken care of our own household as the Bible calls us to do. We then get to start "giving like no one else" through extravagant generosity when we reach babystep 7 or when God calls us to. I am looking forward to reaching babystep 7 and giving to causes and people that will further God's Kingdom here on Earth. This was a great class and I would recommend it for anyone who has completed babystep #2 and wants to make sure to do the right things to change their family tree in a Biblical way.